Even if you are not familiar with the story of the King and I you would most definitely recognize the music because the songs are timeless classics. This Rodgers & Hammerstein production is in town for a limited time at the Aronoff Center for the Arts and you are not going to want to miss it! The show is running now through April 22nd 2018. Sam and I went to see the King and I last night and it was the first time I had seen this Broadway classic on stage. I was so impressed with every little bit of it…the beautiful singing, the gorgeous costumes, the fabulous dancing, the special effects, and the perfection of the entire production. And the show was a great opening for some conversations with Sam about equality, biases, empathy and love. We both thoroughly enjoyed the show, I love introducing to new (to them) productions and feeding their love and appreciation for the arts. This is a wonderful production for all ages, start planning your day at the theatre now! Call your girlfriends, take your significant other, or introduce your children to a class Broadway production. You can find ticket information below. Ambassador Theatre Group and NETworks Presentations LLC announce a national tour of The Lincoln Center Theater Production of Rodgers and Hammerstein’s THE KING AND I, that will play the Aronoff Center in Cincinnati April 10 – 22, 2018 as a part of the Fifth Third Bank Broadway in Cincinnati season presented by TriHealth. Tickets go on sale Friday and will be available at the Aronoff Center Box Office downtown at 650 Walnut Street, online at CincinnatiArts.org or by phone at 513.621.ARTS. 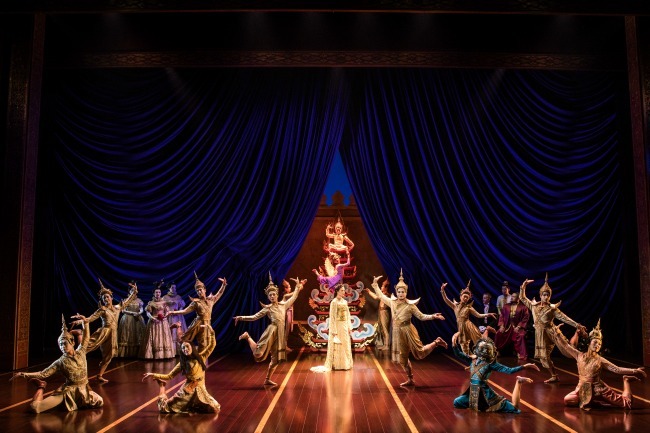 One of Rodgers & Hammerstein’s finest works, THE KING AND I boasts a score which features such beloved classics as Getting To Know You, Hello Young Lovers, Shall We Dance, I Have Dreamed, and Something Wonderful. 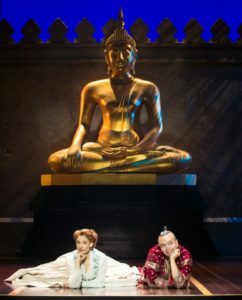 Set in 1860’s Bangkok, the musical tells the story of the unconventional and tempestuous relationship that develops between the King of Siam and Anna Leonowens, a British schoolteacher, whom the modernist King, in an imperialistic world, brings to Siam to teach his many wives and children. 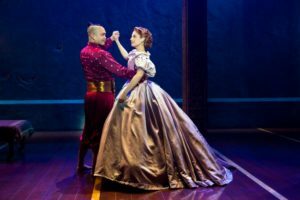 THE KING AND I will play the Aronoff Center from April 10 – 22, 2018: Tuesday – Thursday at 7:30PM, Friday at 8:00PM, Saturday at 2:00PM and 8:00PM, Sunday at 1:00PM and 6:30PM. Tickets start at $30 and will be available at the Aronoff Center Box Office downtown at 650 Walnut Street, online at CincinnatiArts.org or by phone at 513.621.ARTS. For groups of 10 or more, contact the group sales department at 513.369.4363. Performance schedule, prices and cast are subject to change without notice. For more information, please visit www.BroadwayInCincinnati.com. For more information, please visit www.KingandIBroadway.com, or on Facebook and Twitter. Disclaimer: I was provided tickets for media review purposes, but all opinions are 100% my own as always. Show details and photographs were provided by Broadway in Cincinnati.